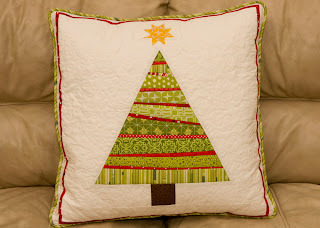 Here is a quick tutorial for those interested in doing your own Christmas tree pillow. All seams are 1/4". 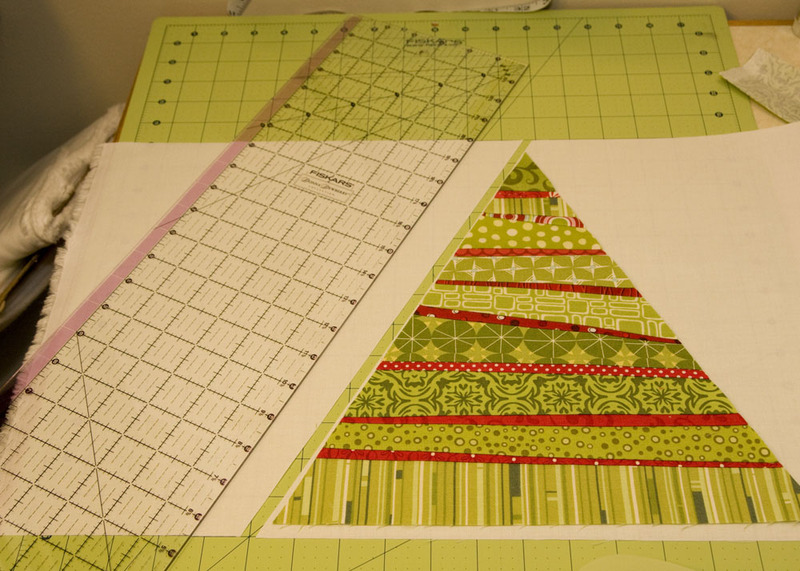 The tree section is paper pieced. 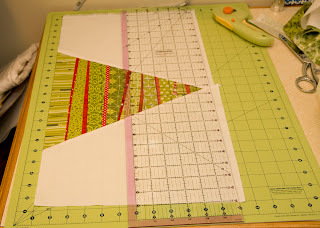 If you are unfamiliar with basic paper piecing, Ashley has a great tutorial on Film in the Fridge. 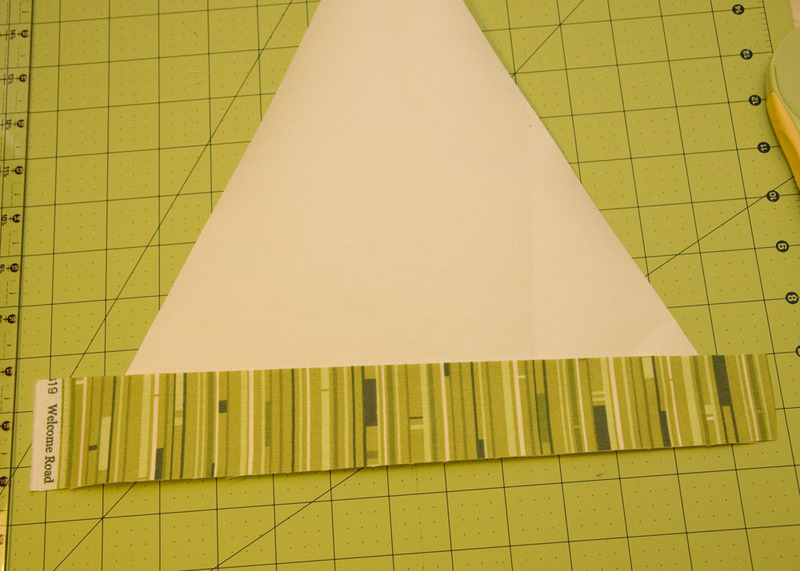 Cut your green strips 1.5 - 2.5", cutting each with a slight angle. Cut red strips between a fat 1/2" and 3/4". 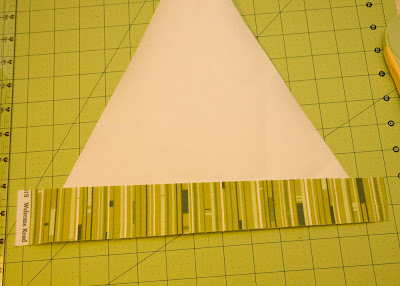 Cut your paper triangle (a piece of lightweight scrapbook paper works great) and start with your first slightly wonky strip of green. Then add your first red strip. Sew using about a 1.5 stitch. Continue adding strips, alternating the wonky sides, until you have completed your tree. Square it up using the paper as your guide then cut your side pieces. 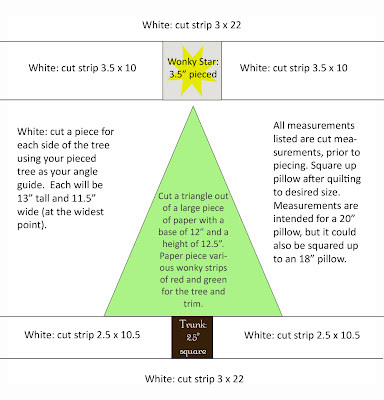 Use your tree as your guide while cutting these strips to get the angle correct. 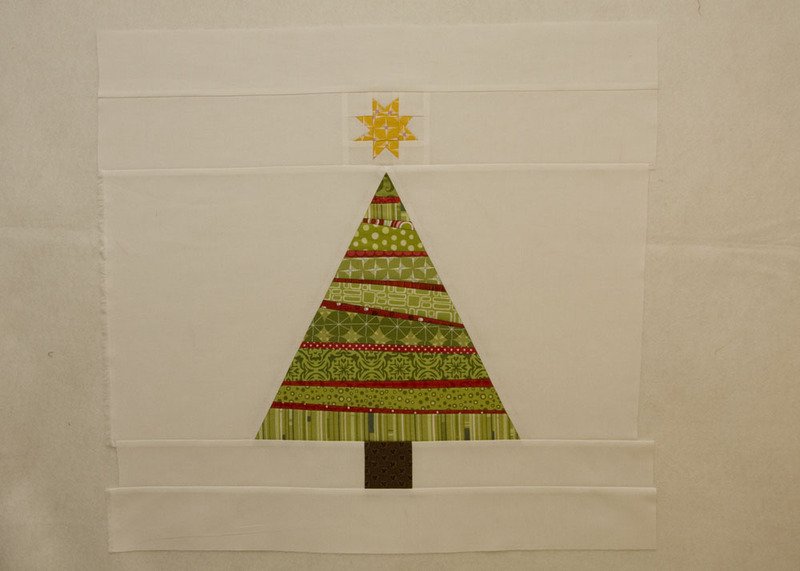 Sew the tree to the white side pieces. Square up your tree section. First even out the base of the tree, lining up your ruler with the bottom of the tree. Then line up the base with your cutting mat and even out the top line. Make your wonky star using 1.5 inch squares. 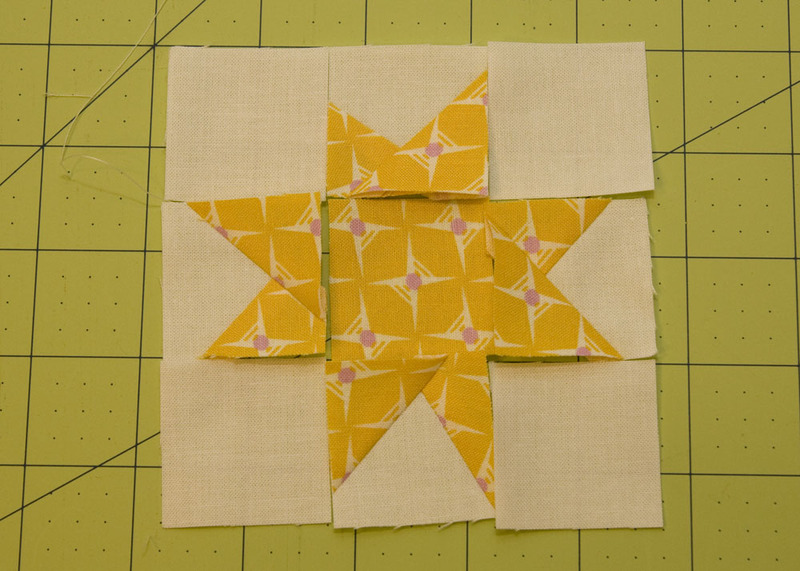 The Silly BooDilly has a great tutorial for wonky stars. That's where I learned to make them. I do like to use slightly larger triangles, though. 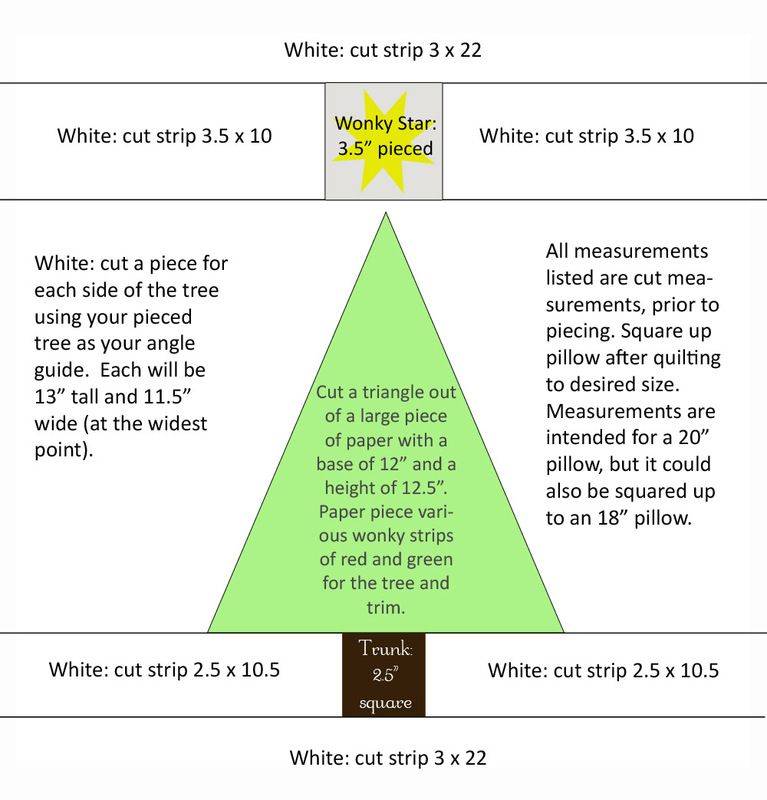 I cut my triangles for the star points from 2" squares. Piece your finished star to your side strips. Then do the same with your trunk piece. 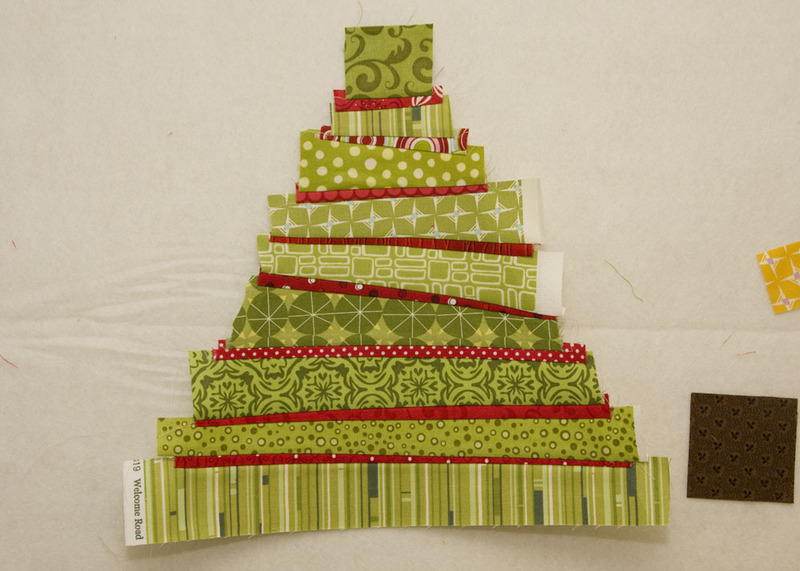 Finally sew all your strips together making sure to center the star, tree and trunk. Add a layer of batting and a lining on the back. Quilt as desired. 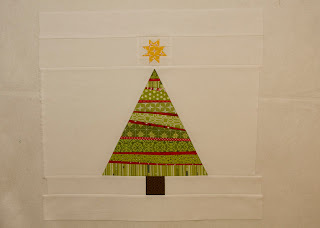 I stitched in the ditch with matching thread on the tree, star and trunk, then did a tight loopy free-motion stitch on the white. 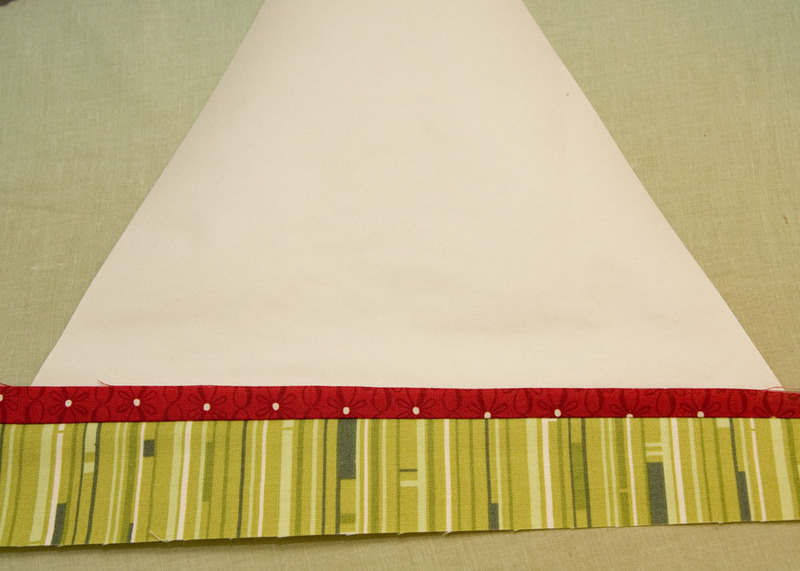 Square up to 20.5" after quilting and finish your pillow using an envelope back or invisible zipper. To add the 1/4" red border, square block up to 18" before quilting. 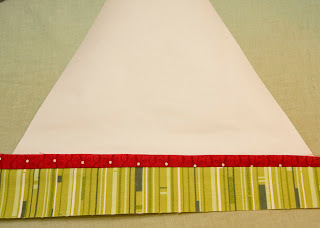 Add 3/4" red strips to top and bottom then sides. Finally, add 2" white strips to top and bottom and then sides. Finish as described above. Thanks for the tutorial! 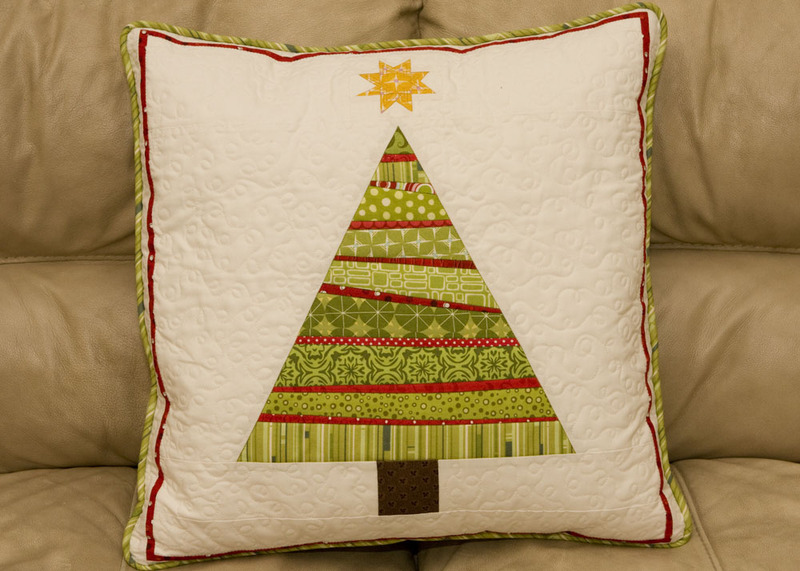 I loved the picture of the pillow that you posted yesterday, and I was wondering how you pieced that cute little star at the top of the Christmas tree. Now I know:) Thanks. Awesome! :) I might make one of these for my MIL... I mean what's one more thing to add to my sewing list?! I'm with Lee. I want to make this so bad, but I have zero time to devote to Christmas decorations. I also realized that I have no red fabric in my stash...I must remedy that by next year. Thank you so very much for the wonderful tutorial! I love the tree pillow. 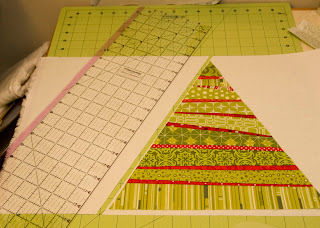 Also thanks for the link to the paper piecing tutorial. Thanks for the dimensions! I'm SO making this pillow! 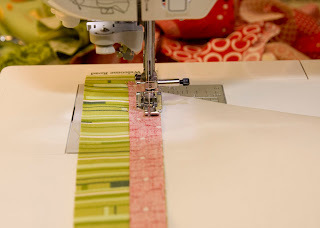 Love your pillow and what a great tutorial! I really love this pillow, tell me, you took the paper off after piecing, didn't you?